80-20 Initiative, the largest Asian-American PAC with 700,000 supporters, announced today that its Endorsement Convention Delegates, in a 31-2 vote, endorsed Sen. Barack Obama to be the next president of this great nation. 80-20's Delegates are composed of 1/3 Republicans, 1/3 Independents, and 1/3 Democrats. After the vote, all Delegates resolved to support the group’s decision. Ethnically, the Delegates are composed of Chinese-, Indian-, Japanese-, Korean- and Vietnamese-Americans. 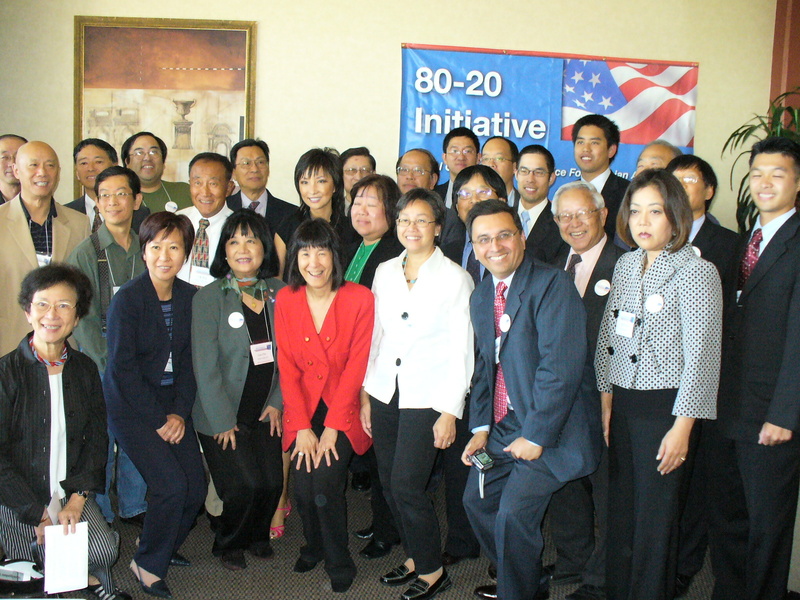 80-20 urges all Asian Americans to be advocates for Obama's candidacy and to support him financially. The Delegates, following 80-20 bylaws requiring consideration of both candidate and party record, supported Sen. Obama for 2 reasons. First, Sen. Obama on January 31, 2008, replied with all yeses to 80-20's questionnaire. He gave unequivocal commitments to give Asian Americans equal opportunities to rise to the top in workplaces through the enforcement of Exec. Order 11246. He also committed to give Asian American legal professionals equal opportunities to be judges at all levels of the Federal Courts. Sen. Obama further committed in writing to meet with Asian American national organizations, organized by 80-20 with the Labor Department, to review the progress. Second, on Oct. 25, 2006, the Chair of The Democratic National Committee, Howard Dean, wrote to the President of 80-20, promising to work with 80-20 to encourage Congress to hold a public hearing on the glass ceiling over Asian Americans in workplaces. After the Democrats gained control of the House and the Senate, the legislation sponsored by Congressman David Wu (D), was finally passed by Congress, giving underserved Asian American students the same educational assistance long available to other minority groups -- a historic first. Democrats sponsored enlightened immigration bills, and legislation with stiff penalty for hate crimes. All of the above areas are important to the Asian American community. In contrast to Sen. Obama, Sen. McCain neither replied to 80-20's questionnaire nor sent a surrogate. However, if Sen. McCain picks Gov. Bobby Jindal (LA), an Asian Americans, as his Vice Presidential candidate, 80-20 will view it very helpful in winning equal opportunity for Asian Americans. In that event, this convention may reconvene. 80-20 cannot act on speculation. Unless warranted, the decision to support Obama stands and 80-20 urges all Asian Americans to proceed with full speed to support Sen. Obama. The Delegates also urged 80-20's Board to invest significant human and financial resources, in the form of "independent expenditures," in the battle ground states to help Sen. Obama win those electoral votes.